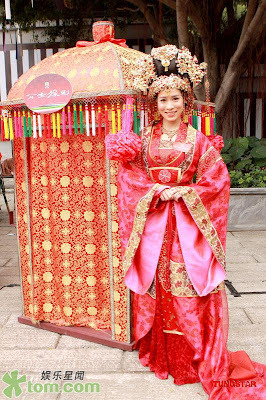 Reluctant to marry into the Tibetan royal family, the wilful Princess CHIU YEUNG (Charmaine Sheh) has to find herself a husband as soon as possible. 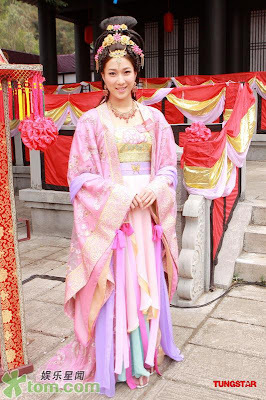 Owner of a gold store TING LOI-HEI (Susanna Kwan) recommends her second and third sons, KAM DOR-LUK (Moses Chan) and KAM DOR-SHAU (Raymond Wong) to the Princess, hoping that the royal marriage would bring them out of financial crisis and somehow save their family business. Not wanting his brother to sacrifice for the family, DOR-LUK offers to marry the Princess himself. Shortly after the marriage, YEUNG begins to show her true self. She needs the KAMs to treat and respect her as a distinguished princess instead of a family member. Even the spiritual leader of the family Granny KAM (Lee Heung Kam) is not spared. 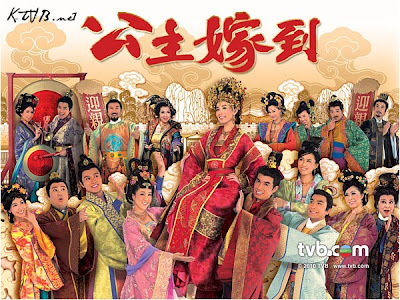 YEUNG’s handmaiden SZETO NGAN-PING (Fala Chen) is a haughty young woman who has no regard for anyone, not even the government matchmaker TING YAU-WAI (Kenneth Ma). The KAMs cannot put up with YEUNG anymore and decide ally and fight back. But to everyone’s surprise, NG SZ-TAK (Linda Chung), the most vigorous maid of the family takes YEUNG’s side and goes against the KAMs. After back and forth bickering, LUK and YEUNG are on the verge of breaking up for the third time. The matter is drawn to the attention of the royal family and finally settled by Emperor TAIZONG. Marrying the Princess is supposed to bring LUK wealth and honour, but all that glitters is not always gold, especially when the bride is such a self-willed shrew. 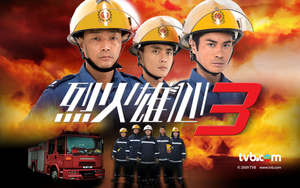 *Kenneth is filming Mui Siu Ching's new series for sure. *Kenneth Ma, Moses Chan, Raymond Wong, and Louis Yuen filming the TVB Sales Presentation Clip for "Princess Out of the Palace." *Charmaine Sheh is said to be filming this series after "Heaven and Earth." *"Princess Out of the Palace" is not called "Arrival of the Princess." 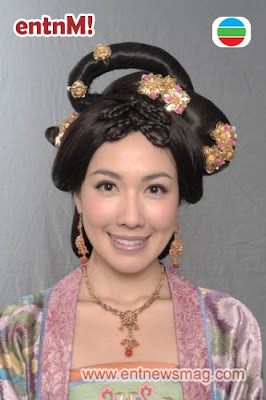 *Charmaine plays the 3rd Princess who will marry the 4th Prince of gold manufacturing company played by Moses. 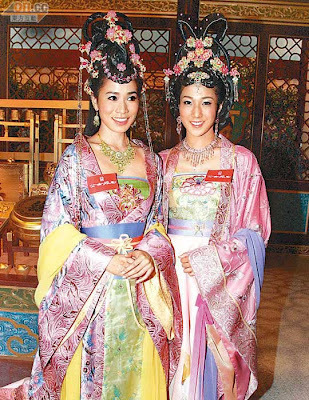 *In the sales clip for "Here Comes the Princess", Linda Chung & Fala Chen both play Charmaine Sheh's maids. *Selena has confirmed that she will film this series, but she won't be back in time for the costume fitting. *Kenneth and Fala will be a couple in this series. *Edwin Siu and Sharon will play a couple in this series. *Sharon will portray Charmaine's older sister. 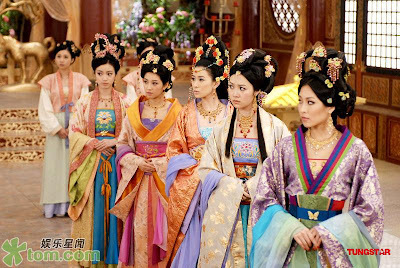 *Order of the princesses: (oldest) Sharon Chan, Tracy Ip, Charmaine Sheh, and Yoyo Chen. *Kenneth Ma will play a royal designated matchmaker in "Here Comes the Princess". *The official English title for the series is "Can't Buy Me Love."